Hope you are having a great weekend! I am loving the spring weather we are having. This "color of the year" sweater for 40% off - also in 3 other patterns/colors. This chevron striped tee for $17. These linen joggers in five colors for spring/summer. I love the color of this "perfect rain coat" - and it's 30% off. This pink quilted bag for 40% off. These cute slip on sneakers for 30% off. This classic dress for 50% off. These leopard espadrilles for only $18. These suede mules on sale for only $25. This pretty floral cami for 40% off. This camo tee for 50% off - and comes in four different shades. I like this classic striped shirt for 40% off. This blush hair clip for 40% off. These peonies - great for tabletop decor this spring/summer. This large polka dot sweater for 30% off. This fun print wrap dress for 40% off. These initial charm necklaces for 50% off! I shared my 10 Amazon purchases HERE. 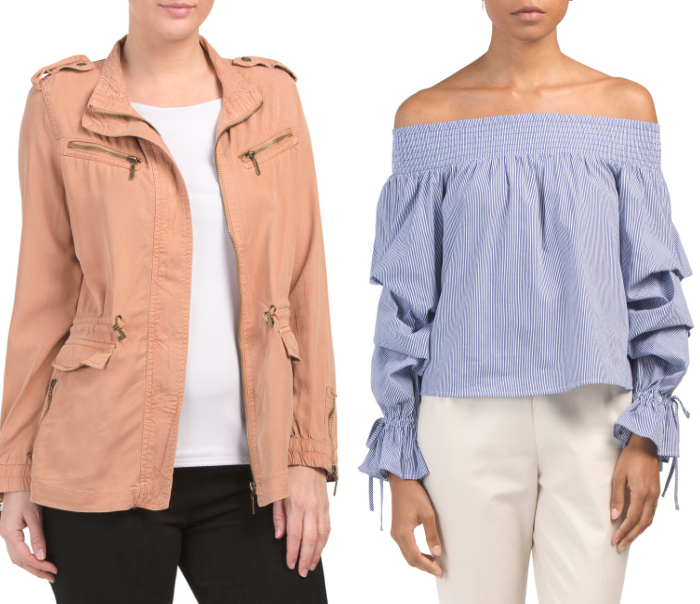 That striped lace jacket is such a good find - I love jackets, my closet is full of them! 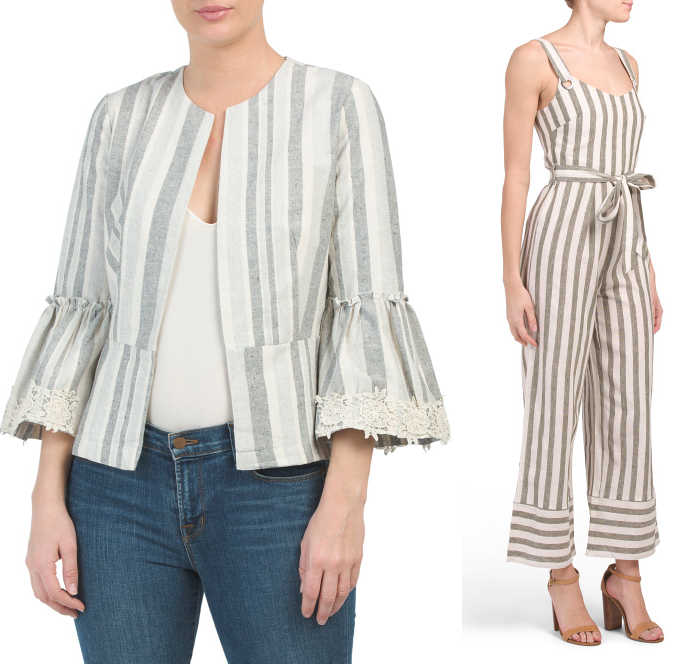 I totally want that striped jumpsuit...and every jumpsuit that's out right now for that matter!